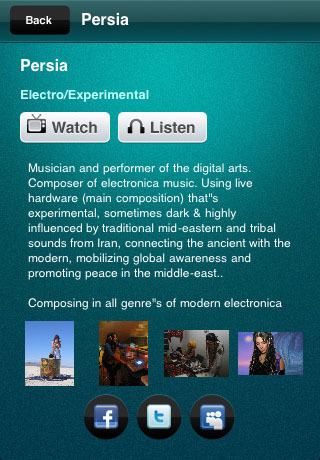 Mideast Tunes is a platform for emerging underground musicians in the Middle East & North Africa to encourage, inspire and expose talented young artists across the region. 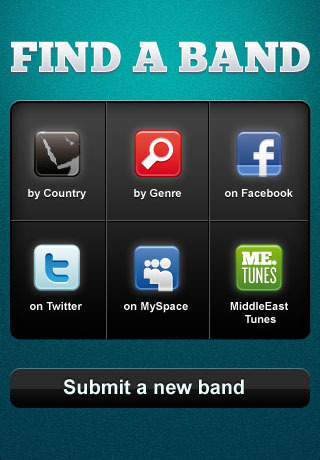 Mideast Tunes uses a built-in database to keep track of band-related information. The database is updated via the Internet to get the latest band information from the Mideast Youth servers when the device is online. 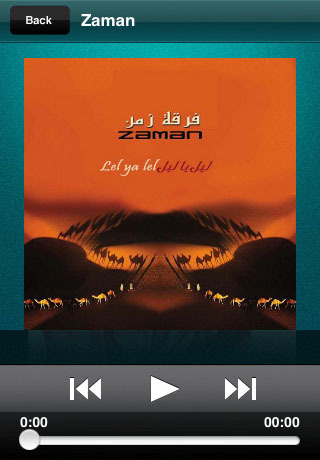 Additionally, all songs have to be downloaded only once, and thereafter is stored locally on the device. 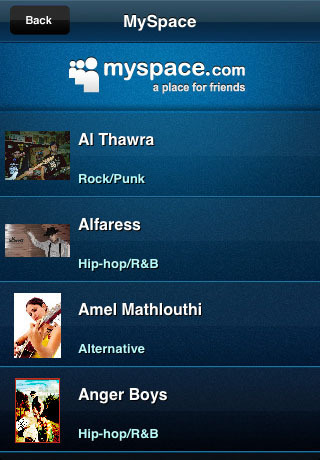 Other functionality, such as Twitter, Facebook, and MySpace pages for each band, are also included in Mideast Tunes. Which of tongue, ankle, chest or head is something each person has more than one of?